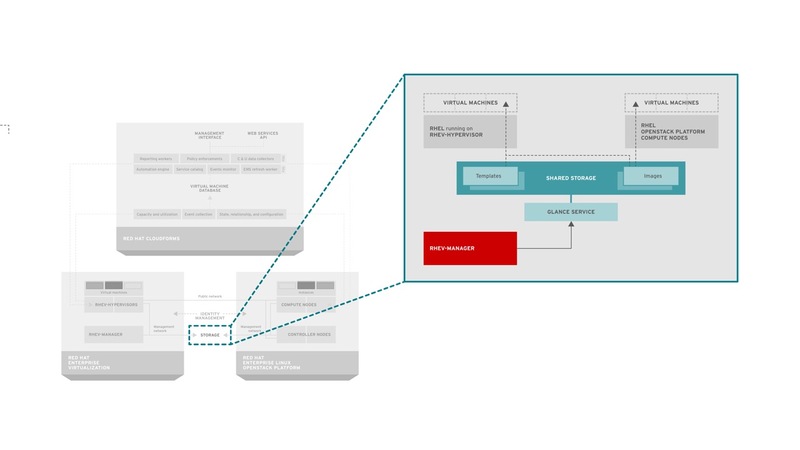 Slides from my talk on Deploying OpenShift with CloudForms can be downloaded here. Packstack makes installing OpenStack REALLY easy. By using the –allinone option you could have a working self-contained RDO installation in minutes (and most of those minutes are spent waiting for packages to install). However, the –allinone option really should be renamed to the –onlywithinone today, because while it makes the installation very simple it doesn’t allow for instances spun up on the resulting OpenStack environment to be reachable from external systems. This can be a problem if you are trying to both bring up an OpenStack environment quickly and demonstrate integration with systems outside of OpenStack. With a lot of help and education from Perry Myers and Terry Wilson on Red Hat’s RDO team I was able to make a few modifications to the packstack installation to allow a user to use the packstack installation with –allinone and have external access to the instances launched on the host. While I’m not sure this is the best practice for setup here is how it works. I started with a @base kickstart installation of Red Hat Enterprise Linux 6.4. 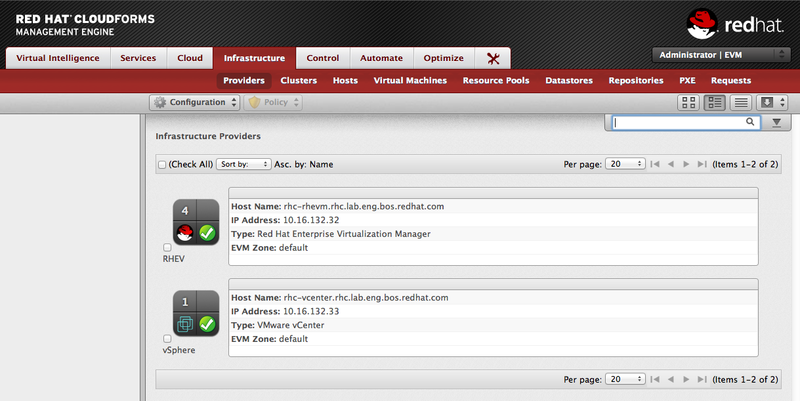 First, I subscribed the system via subscription manager and subscribed to the rhel server repository. I also installed the latest RDO repository file for Grizzly and then updated the system and installed openvswitch. The update will install a new kernel. Before I rebooted I setup a bridge named br-ex by placing the following in /etc/sysconfig/network-scripts/ifcfg-br-ex. I also changed the setup of the eth0 interface by placing the following in /etc/sysconfig/network-scripts/ifcfg-eth0. The configuration would make it belong to the bridge we previously setup. At this point I rebooted the system so the updated kernel could be used. When it comes back up you should have a bridged interface named br-ex which has the IP address that was associated with eth0. I had a static leased DHCP entry for eth0 prior to starting, so even though the interface was set to use DHCP as it’s bootproto it receives the same address consistently. Now you need to install packstack. Packstack’s installation accepts an argument named quantum-l3-ext-bridge. We will set this to eth0 so that the eth0 interface is used for external traffic. Remember, eth0 will be a port on br-ex in openvswitch, so it will be able to talk to the outside world through it. Before we run the packstack installer though, we need to make another change. Packstack’s –allinone installation uses some puppet templates to provide answers to the installation options. It’s possible to override the options if there is a command line switch, but packstack doesn’t accept arguments for everything. For example, if you want to change the floating IP range to fall in line with the network range your eth0 interface supports then you’ll need to edit a puppet template by hand. Edit /usr/lib/python2.6/site-packages/packstack/puppet/modules/openstack/manifests/provision.pp and change $floating_range to a range that is suitable for the network eth0 is on. The floating range variable appears to be used for assigning the floating IP address pool ranges by packstack when –allinone is used. One last modification before we run packstack, and thanks to Terry Wilson for pointing this out, we need to remove a a firewall rule that is added during the packstack run that adds a NAT rule which will effectively block inbound traffic to a launched instance. You can edit /usr/lib/python2.6/site-packages/packstack/puppet/templates/provision.pp and comment out the following lines. The ability to configure these via packstack arguments should eventually make it’s way into packstack. See this Bugzilla for more information. That’s it, now you can fire up packstack by running the following command. When it completes it will tell you that you need to reboot for the new kernel to take effect, but you don’t need to since we already updated after running yum update with the RDO repository in place. Your openvswitch configuration should look roughly like this when packstack finishes running. Before we start provisioning instances in Horizon let’s take care of one last step and add two security group rules to allow ssh and icmp to our instances. Now you can log into horizon with the demo user whose credentials are stored in /root/keystonerc_demo and provision an instance. Make sure you specify the private network for this instance. The private network is automatically created for the demo tenant by the packstack –allinone installation. You’ll also notice it uploaded an image named cirros into glance for you. Of course, this assumes you’ve already created a keypair. Once the instance is launched we will then associate a floating IP address with it. 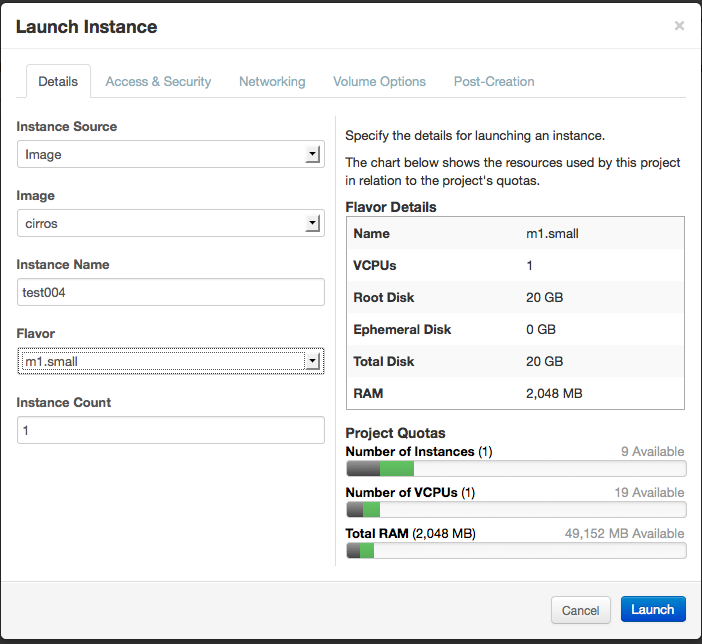 Now we can get started with the fun stuff, like provisioning images from CloudForms onto RDO and using Foreman to automatically configure them! Discovery and Reporting: Detailed information about all workloads across all cloud and virtualization providers. 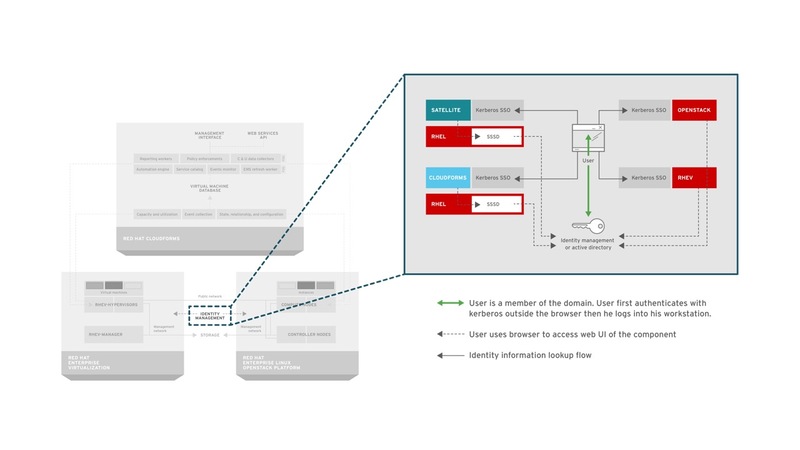 Self-Service: A single catalog which could provision services across hybrid and heterogeneous public and private clouds. Best-Fit Placement: Helping identify which platform is best for which workload both at provision and run-time. 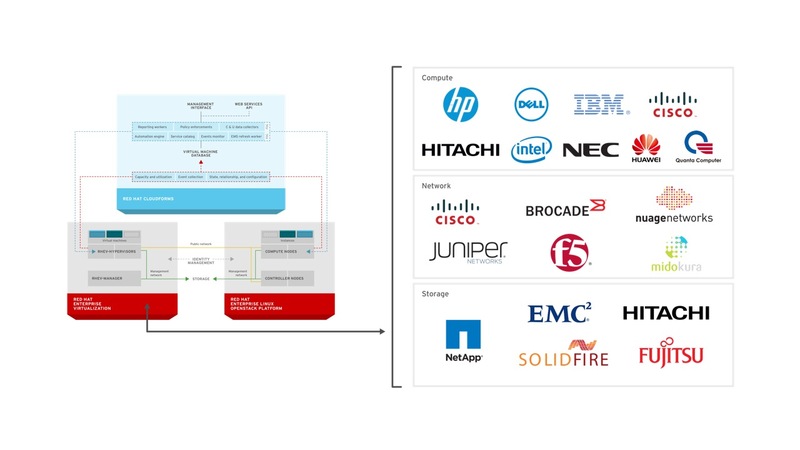 Red Hat believes that the future IT architecture for Infrastructure as a Service (IaaS) is OpenStack. That shouldn’t come as a big surprise given that Red Hat was a major contributor to the Grizzly OpenStack Release and has established a community for it’s distribution called RDO. There is a big difference between datacenter virtualization and clouds and knowing which workloads should run on which is important. For more information on this you can watch Andy Cathrow’s talk at Red Hat Summit. Two of the enhancements coming in the next release of CloudForms are the clear distinction between datacenter virtualization and cloud providers and the addition of OpenStack as a supported cloud provider. 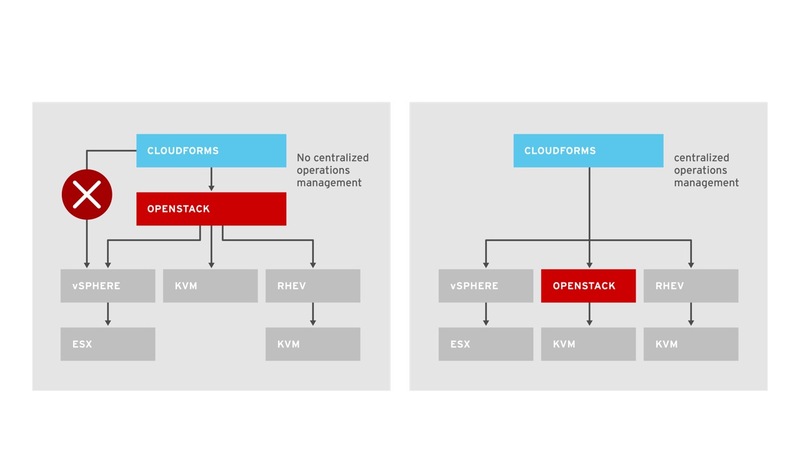 In clearly separating and understanding the differences between datacenter virtualization (or infrastructure providers as it’s called in the user interface) and cloud providers CloudForms will understand exactly how to operationally manage and standardize operational concepts across Red Hat Enterprise Virtualization, VMware vSphere, Amazon EC2, and OpenStack. 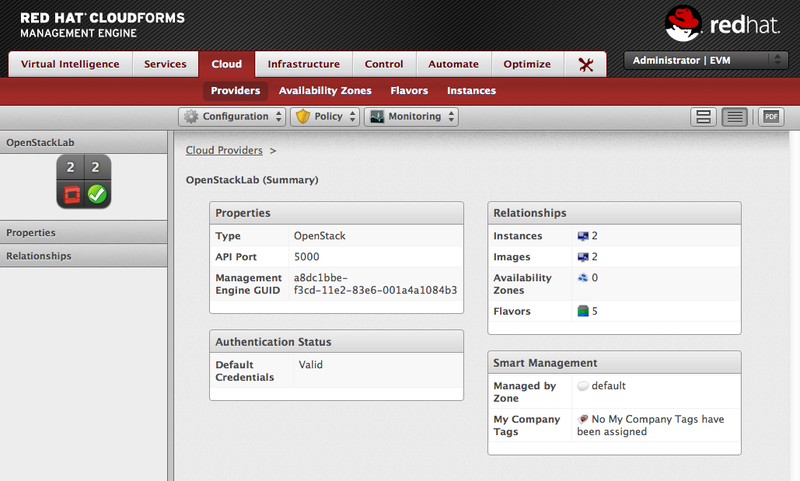 Also, as you noticed in the previous screens CloudForms will support OpenStack as a cloud provider. 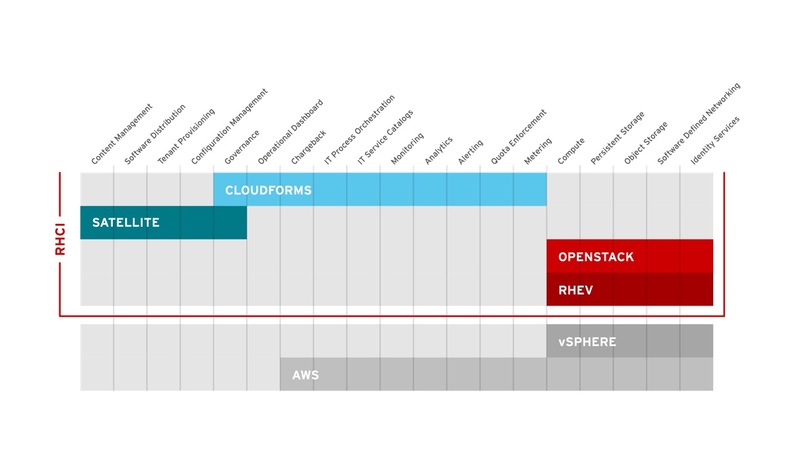 This is critical to snapping in another piece of the puzzle of Red Hat’s Open Hybrid Cloud Architecture and providing all the operational management capabilities to OpenStack that IT organizations need. These two enhancements will be critical for organizations who want a single pane of glass to operationally manage their Open Hybrid Cloud. Stay tuned for more updates regarding the next release of CloudForms! 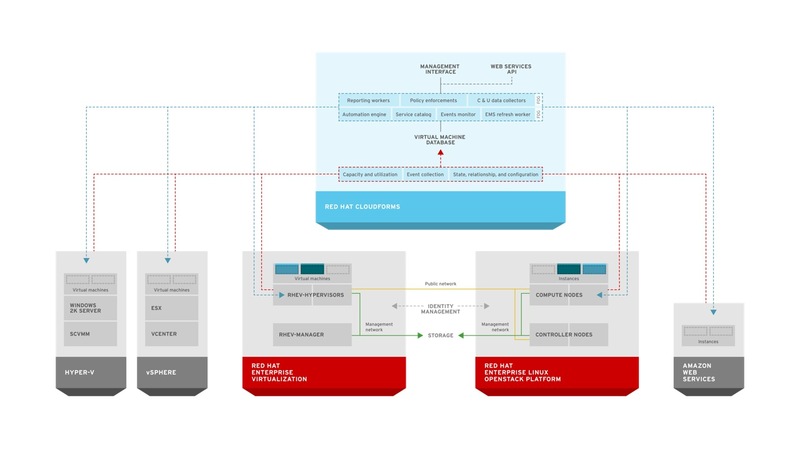 In a prior post on Red Hat’s Open Hybrid Cloud Architecture I discussed how IT consumers, having experienced the power of the public cloud are pressing Enterprise IT to deliver new capabilities. One of these capabilities is accelerated service delivery, or the ability to more quickly develop and release new applications that meet a businesses need. In this post I’d like to examine how the Open Hybrid Cloud Architecture provides the means to satisfy this capability and how it is different then other approaches. There are 1000 vendors who can provide accelerated service delivery, why not just buy a product? Many vendors will try to sell a single product as being able to accelerate service delivery. The problem with this approach is that accelerating service delivery goes far beyond a single product. This is because no single product can provide all the necessary components of application development that an IT consumer could want. Think about all the languages, frameworks, and technologies from Java, .NET, node.js to Hadoop, Casandra, Mongo to <insert your favorite technology name here>. The availability of these languages from a single product, vendor, or operating system in an optimized manner is highly unlikely. An approach that tries to accelerate service delivery within a single product or technology creates yet another silo and doesn’t solve the fundamental problem of accelerating service delivery across all an IT organization’s assets. 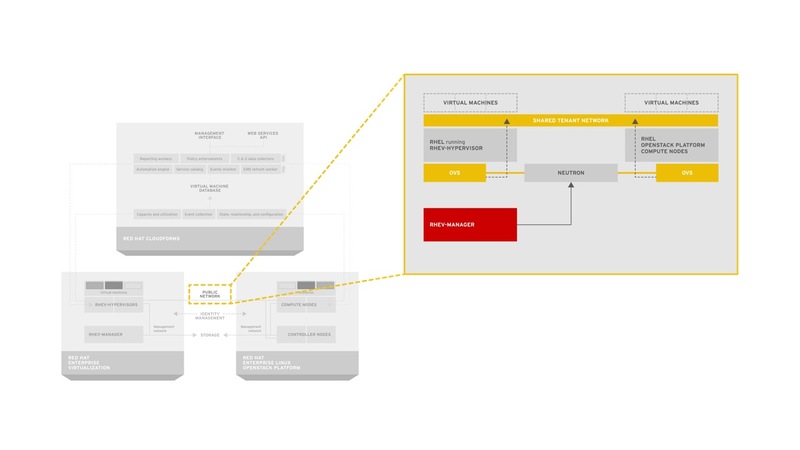 How can Enterprise IT provide accelerated service delivery capabilities while avoiding a silo? 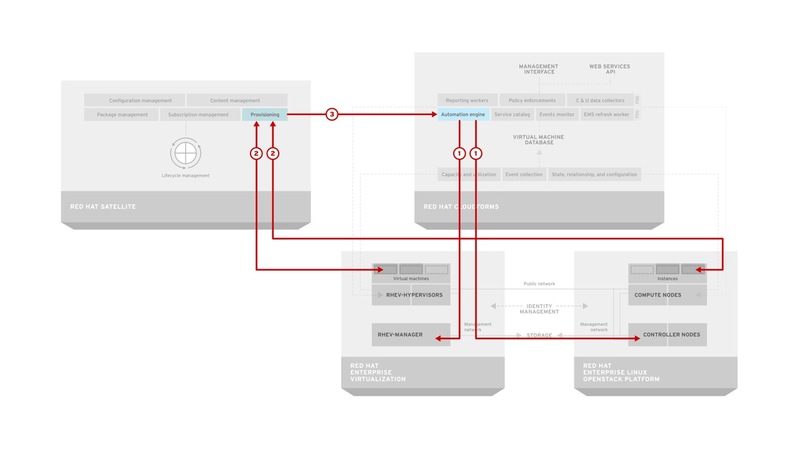 By leveraging an architecture that is flexible and where each component is aware of it’s neighbors, organizations can accelerate service delivery without building a silo. 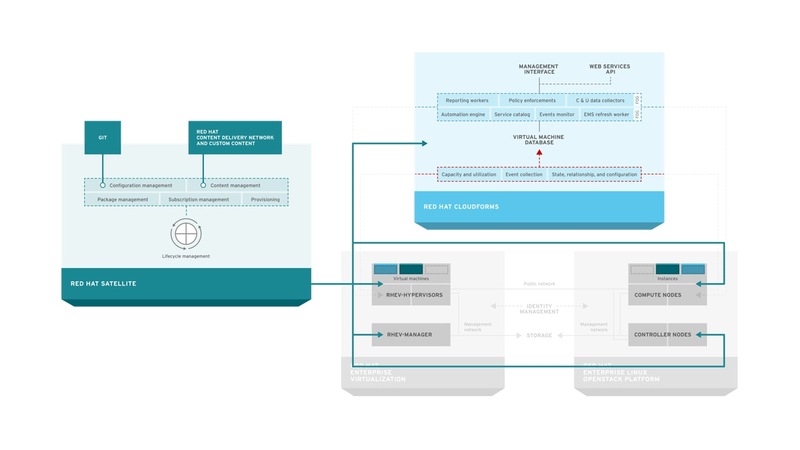 Even better, having a component within your architecture that has a comprehensive understanding of every other component means virtually endless possibility for workload deployment and management. 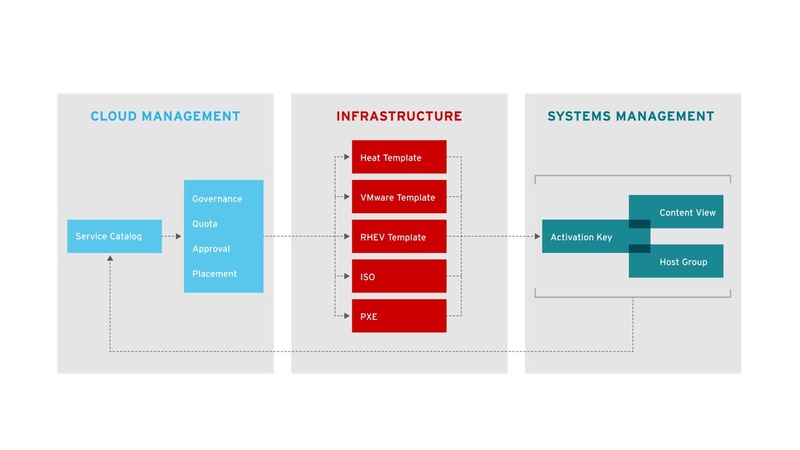 Want to deploy your workload as a VM using PXE on Red Hat Enterprise Virtualization, a template within VMWare vSphere, instances on OpenStack using Heat, or a gear in OpenShift? You can only do that if you understand each one of those technologies. Don’t build your logic for operations management into a single layer – keep it abstracted to ensure you can plug in whichever implementation of IaaS and PaaS best meets your needs. Does your application maintain too much state locally or scale vertically? Then it belongs on a traditional virtualization platform like VMware or RHEV. Is it a stateless scale out application? Then you can deploy on OpenStack. Are the languages and other dependencies available within a PaaS? Then it belongs in OpenShift. However, just deploying to each of those platforms is not enough. What about deploying one part of your workload as gears in OpenShift and another part as instances on OpenStack at the same time? You must be able to deploy to ALL platforms within the same workload definition! The Open Hybrid Cloud Architecture is providing the foundation for such flexibility in deployment and management of workloads in the cloud. Let’s look at an example of a developer who would like to develop a new application for the finance team within his organization. The developer would like to utilize ruby as a web front end and utilize .NET within an IIS application server to perform some other functions. This developer expects the same capabilities that he gets using Google App Engine in that he wants to be able to push code and have it running in seconds. The user wants to request a catalog item from CloudForms which will provide them with the two components. 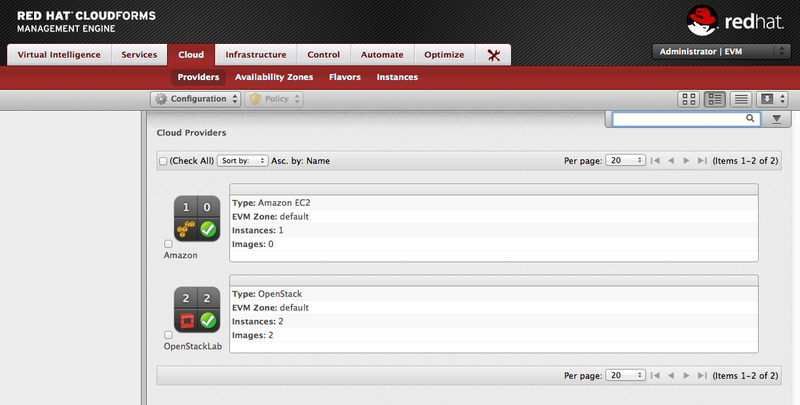 The first is a ruby application running in the OpenShift PaaS. The second is a virtual machine running on either Red Hat Enterprise Virtualization, VMware vSphere, or Red Hat Open Stack. 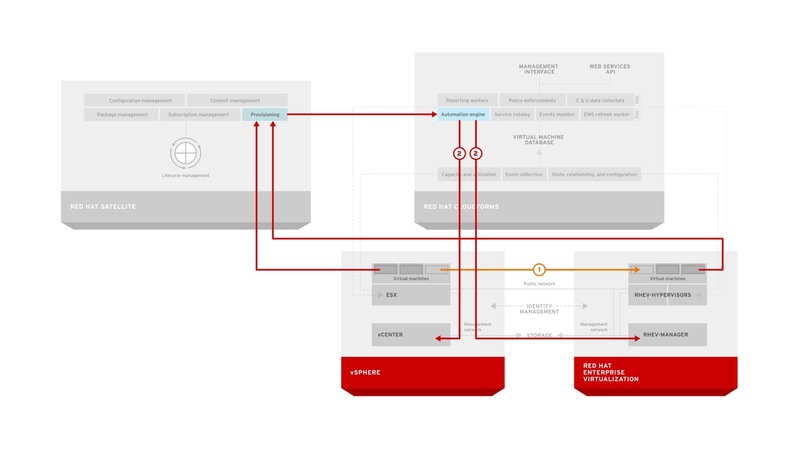 The service designer who designed this catalog bundle recognized that ruby applications can run in OpenShift and because OpenShift provides greater efficiencies for hosting applications then running the application within it’s own virtual machine the designer ensured that the component run in the PaaS layer. OpenShift also provides automation of the software development process which will give the end user of the designed service greater velocity in development. 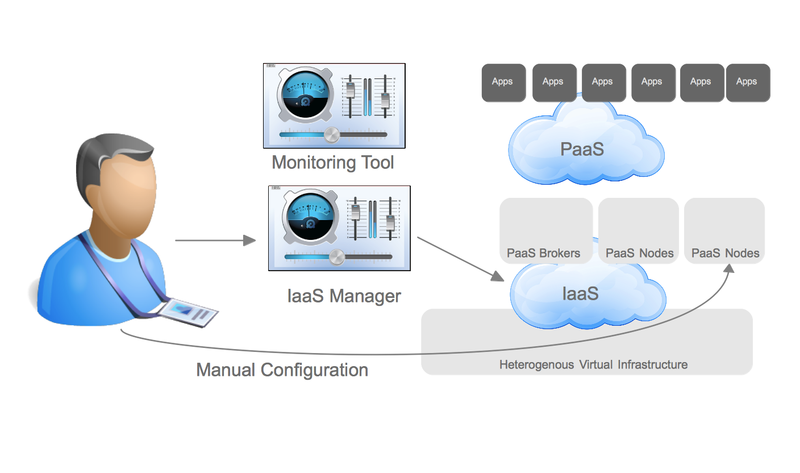 Since the IIS application server wasn’t available within the PaaS layer, the service designer utilized a virtual machine at the datacenter virtualization layer (vSphere) to provide this capability. 1. The user requests the catalog item. CloudForms could optionally provide workflow (approval, quota, etc) and best fit placement at this point. 2. 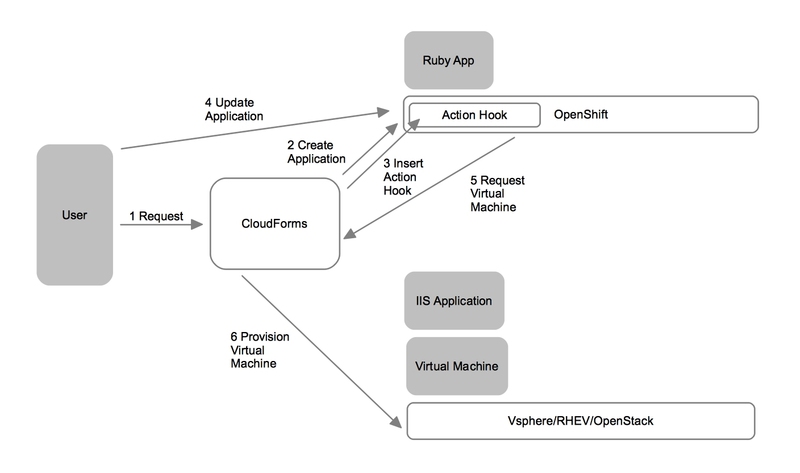 CloudForms provisions the ruby application in OpenShift Enterprise. The Ruby application is running as a gear. 3. 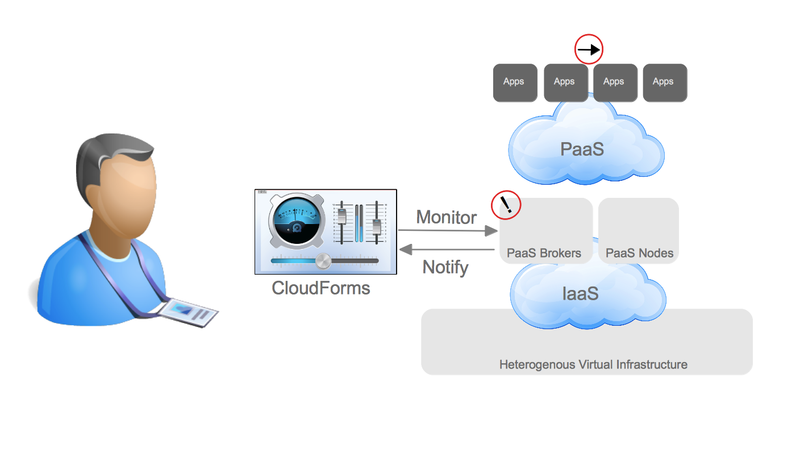 CloudForms orchestrates the adding of an action hook into the OpenShift deployment. This can be done using any configuration management utility. I used puppet and The Foreman in my demo video below. 4. The user begins developing their ruby application. They clone the repository and then commit and push the changes. 5. The action hook within OpenShift is triggered by the deploy stage of the OpenShift lifecycle and calls CloudForms API requesting a virtual machine be created. 6. 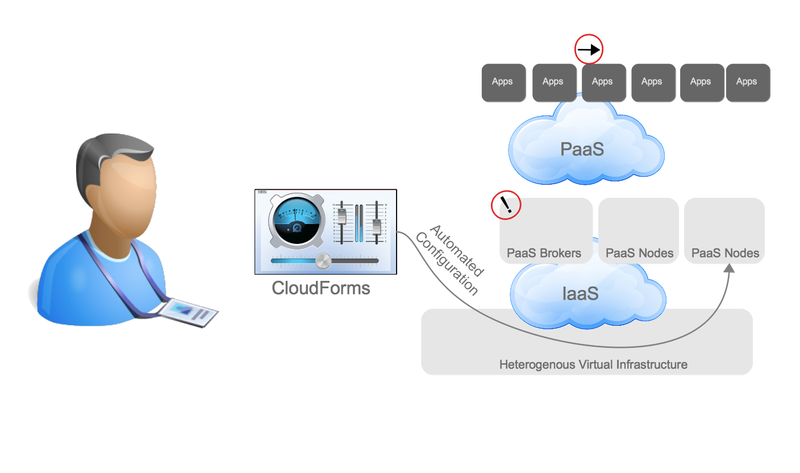 CloudForms provisions the virtual machine. This is really just the beginning of the process, but hopefully you can see where it’s going. 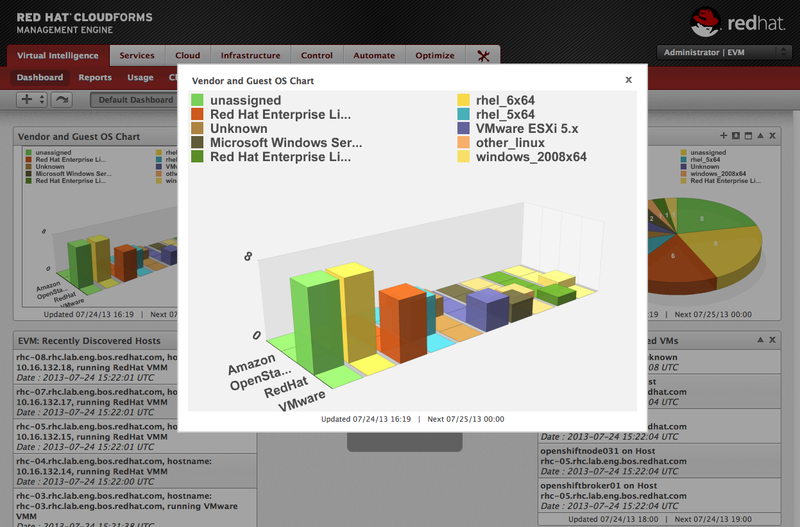 CloudForms can perform the deployment and tear down of the virtual machines each time a developer updates their application in OpenShift. 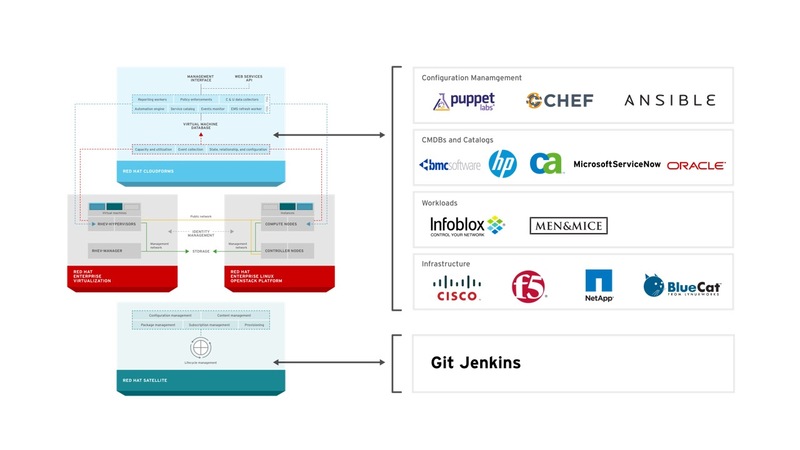 It can even tie into other continuous integration systems to deploy application code into the IIS application server. 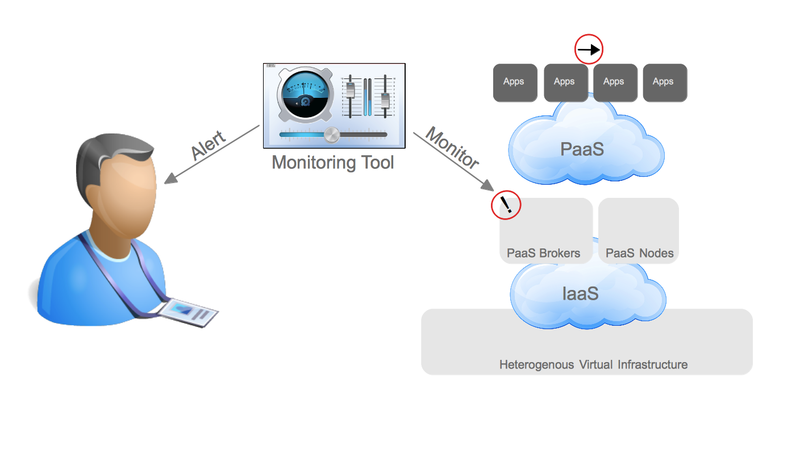 This rapid delivery of the environment is taking place across both the PaaS and IaaS. It also doesn’t try to invent a new “standard description” across all different types of models, instead it understands the models and methods of automation within each component of the architecture and orchestrates them. 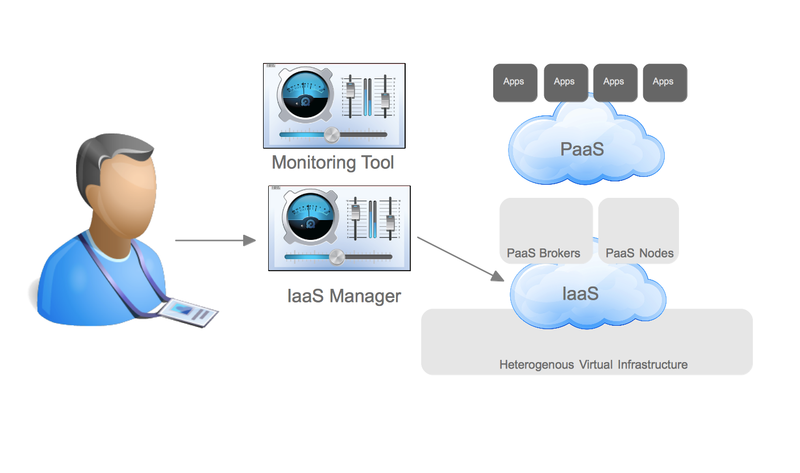 While the virtual machines running at the IaaS layer don’t provide the same level of density as the PaaS, CloudForms and OpenShift can be combined to provide similar operational efficiency and expand the capabilities of OpenShift’s Accelerated Service Delivery across an IT organizations entire base of assets. I still don’t believe you, can you show me? Want to see it in action? Check out this short video demonstration in either Ogg or Quicktime format. You can download the action hook here. You can download the OpenOffice Draw Diagram here. This is cool, what would be even cooler? If the client tools could be intercepted by CloudForms it could provide a lot of operational management capabilities to OpenShift. For example, when `rhc app create` is run CloudForms could provide approvals, workflow, quota to the OpenShift applications. Or perhaps a future command such as `rhc app promote` could utilize the approvals and automation engine inside CloudForms to provide controlled promotions of applications through a change control process.